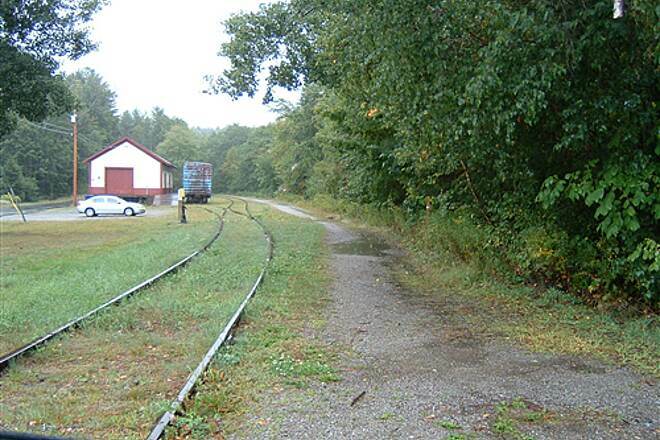 Spanning 57.6 miles from Lebanon to Boscawen, the Northern Rail Trail is New Hampshire’s longest rail-trail conversion. 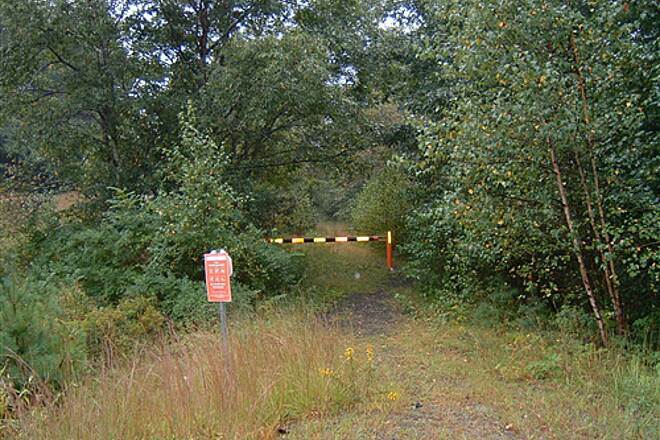 Trail development began in 1996 after the state purchased the Boston and Maine Railroad’s dormant Northern Line. 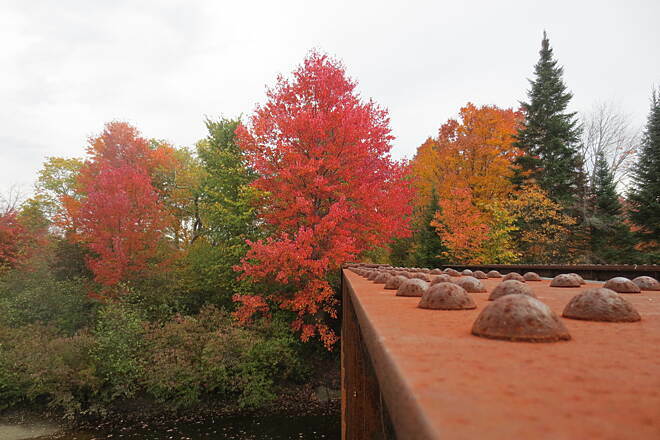 Built in 1847 by the Northern Railroad, the line formed a substantial portion of a Boston-to-Quebec route that was heavily traveled during the first half of the 20th century. 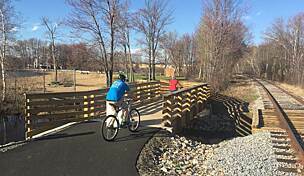 While the state owns the rail corridor, local groups did most of the work to open the trail for year-round use in their respective counties from 2000 to 2014. 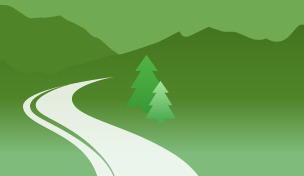 In addition to walking and biking, permitted uses include horseback riding, cross-country skiing, snowmobiling, snowshoeing, and dogsledding. Begin your journey in Lebanon at the trail’s northern end to take advantage of the mostly downhill slope. Lebanon offers a handful of restaurants and shops, and you’ll want to make sure you stock up before you set out, as there are remote sections between towns. 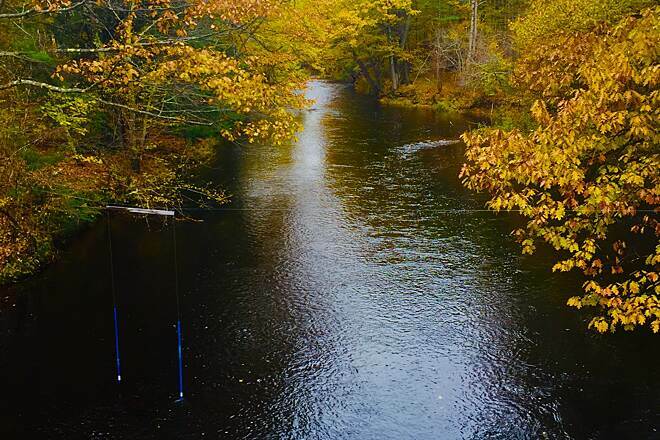 The journey southeast from Lebanon is easy and scenic as you cross nine short bridges over the Mascoma River in the first 4 miles. 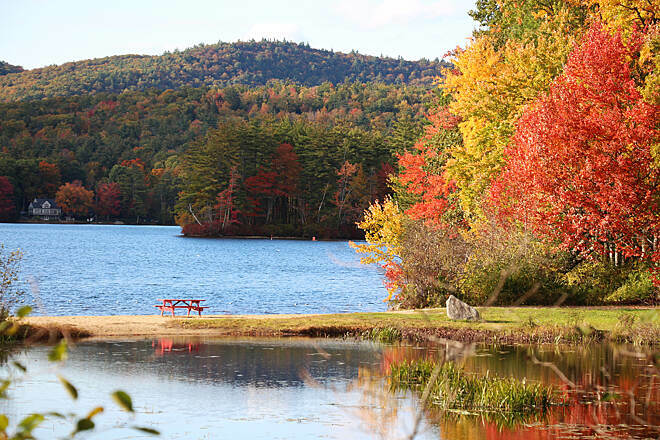 The trail then skirts the northern shore of the 1,100-acre Mascoma Lake, where you may encounter bathers taking a dip on a hot day. The trail then enters the lakeside community of Enfield. 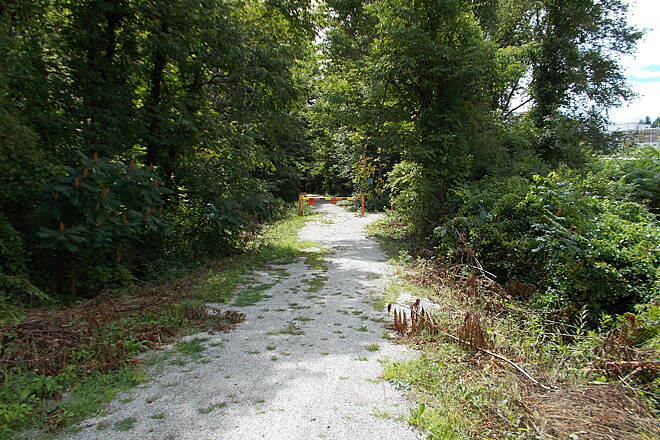 Past here, the path occasionally narrows and can be overgrown with grass and other vegetation. You’ll appreciate the dense tree cover in this heavily wooded country in the summer, however. 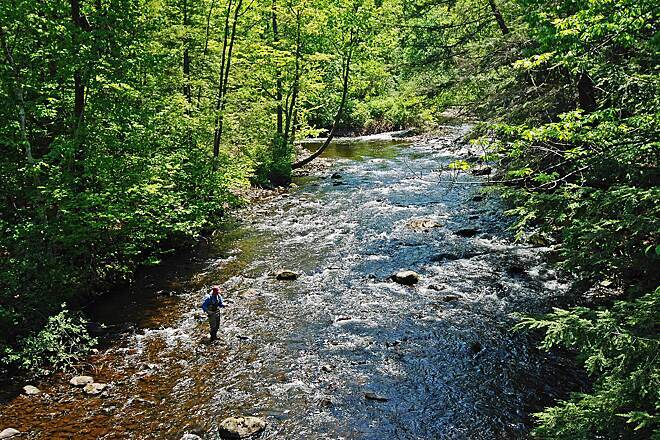 About 20 miles past Enfield you’ll arrive in Danbury, a popular near--midway point for rest and replenishment. The Danbury Country Store offers snacks, restrooms, and a welcome porch. By now you have crossed into Merrimack County, where the trail is upgraded to a crushed stone surface rather than the cinders in Grafton County. 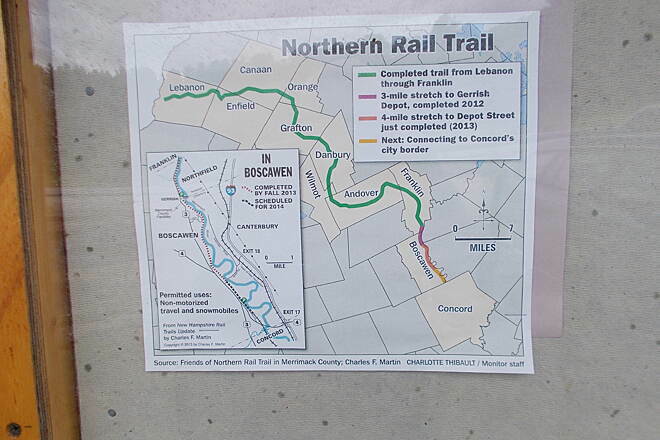 Several interpretive signs scattered throughout the remainder of the trail also improve the experience and inform trail users on the rail line’s history. 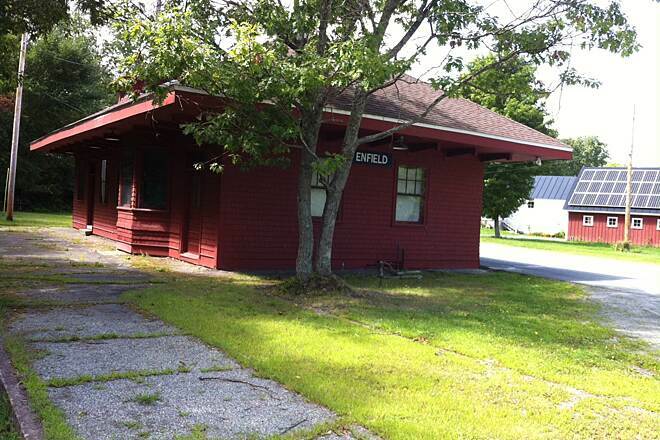 Seven miles past Danbury you pass Andover’s Potter Place Railroad Station, restored to look as it did in 1874. 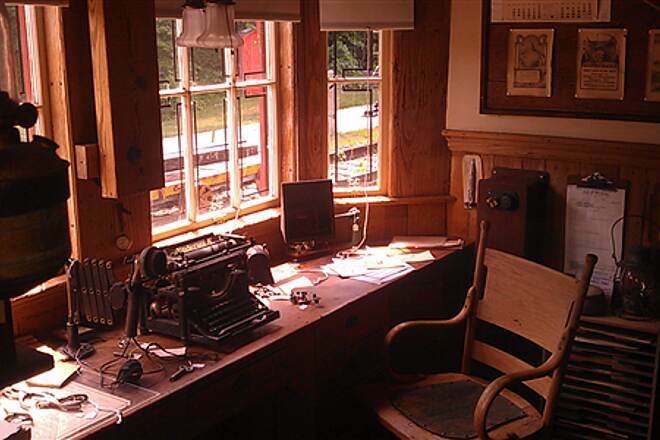 The depot’s museum, caboose, and nearby freight house are operated by the Andover Historical Society. 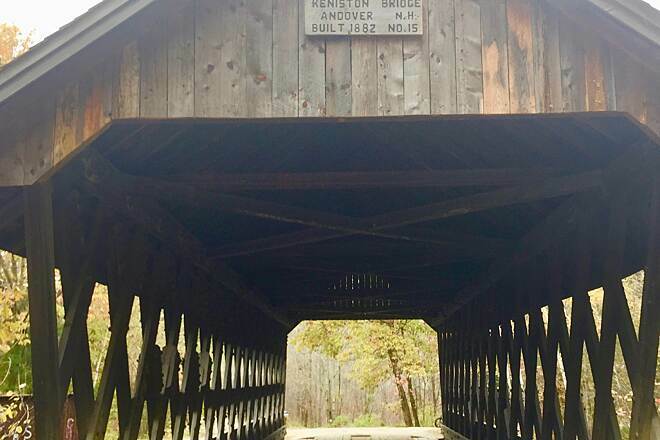 In 1 mile, the trail crosses the Blackwater River next to the 1882 Keniston Covered Bridge. 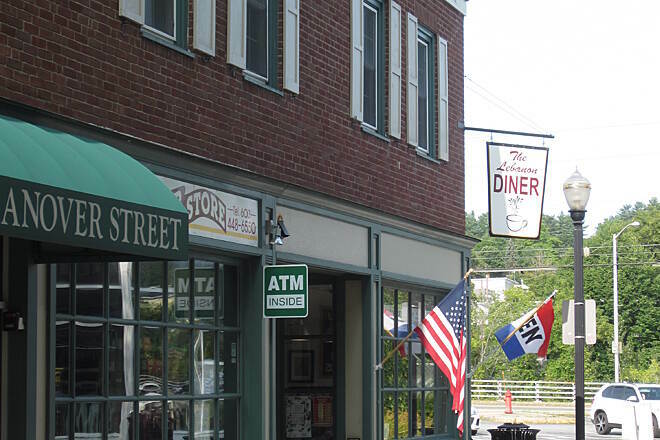 Andover stretches along US 4/Main Street roughly between Eagle Pond and Highland Lake; restaurants are on Main Street north of the trail. East of Andover, the trail enters slightly denser environs, so expect to encounter more people using the trail. 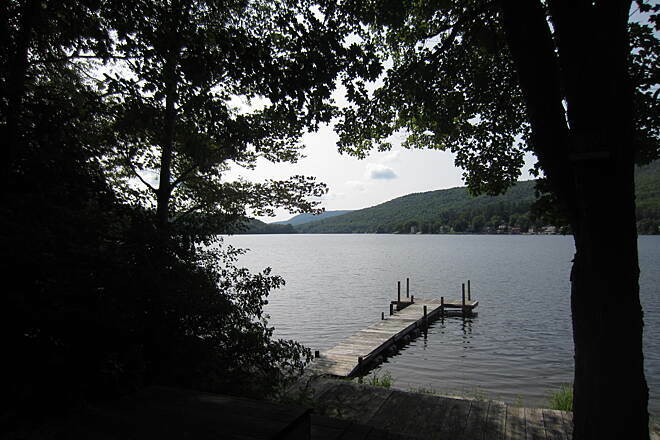 This is particularly true at the popular swimming spot Webster Lake, named for local 19th-century statesman Daniel Webster. 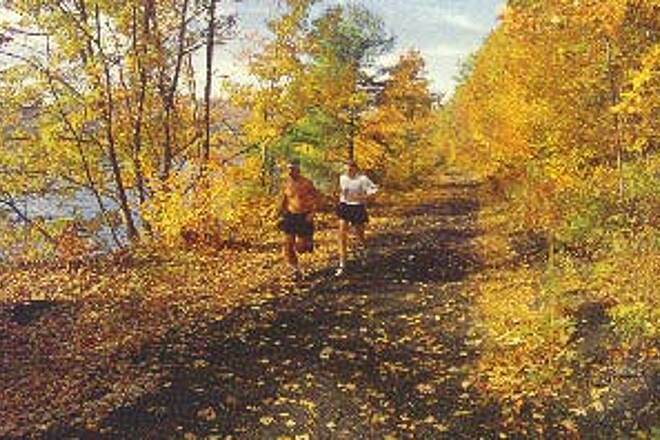 In Franklin, 1.7 miles past the lake, a short on-road connection links to the Winnipesaukee River Trail. Continuing south on the Northern Rail Trail, you’ll come across the stone remains of a turntable that once assisted in changing the direction of locomotives. 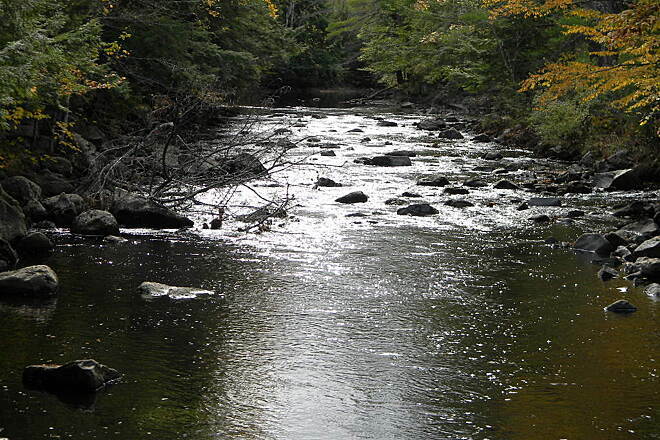 For the remaining 11 miles south, you’ll closely follow US 3 and the Merrimack River to the trail’s end at a cornfield in the southern reaches of Boscawen. Future plans call for extending the trail on both ends. 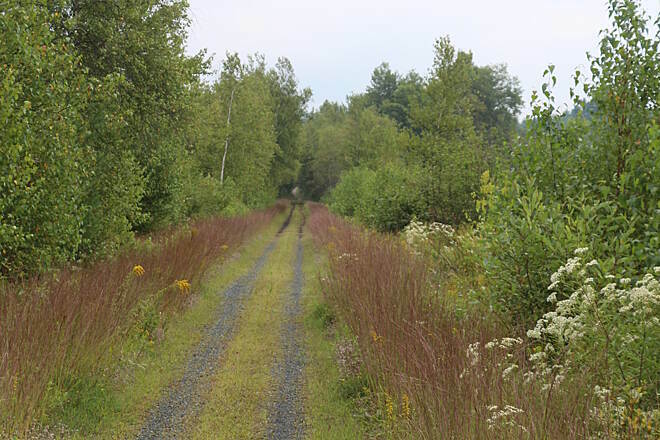 In the north, the paved Mascoma River Greenway will run 4 miles from the Northern Rail Trail in Lebanon to West Lebanon. 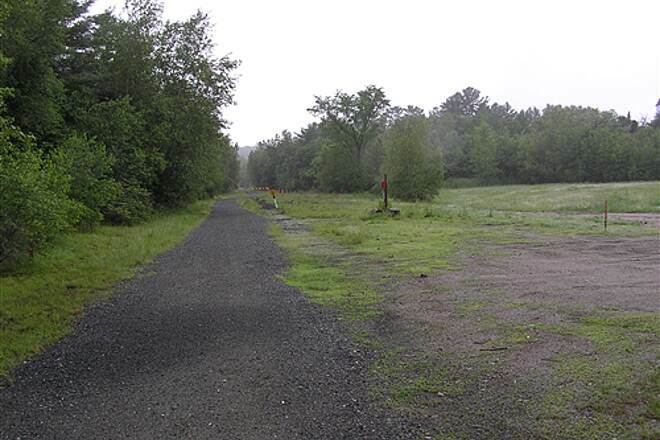 Grander plans in the south would connect the Northern Rail Trail about 7 miles to the state capital of Concord. 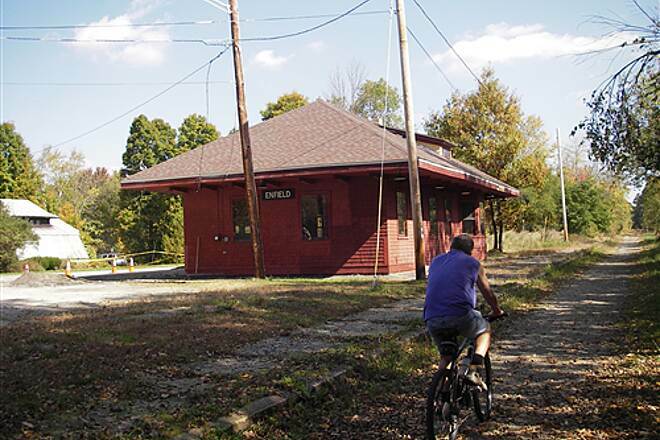 They are all components of the Granite State Rail Trail, a 125-mile project that will eventually span southern New Hampshire from Massachusetts to Vermont. 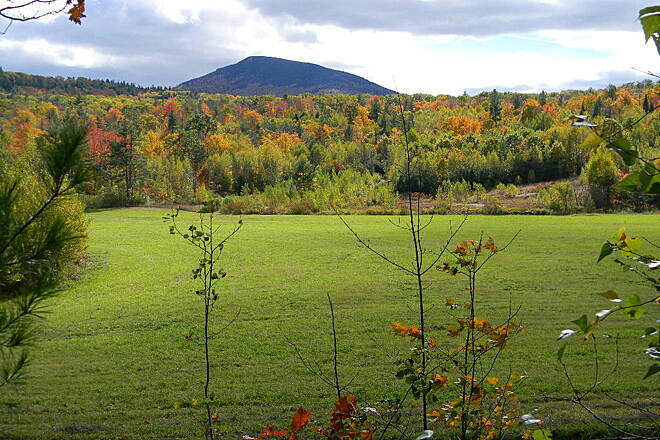 To reach the northern trailhead from I-89, take Exit 18 onto NH 120 toward Lebanon. Head south 0.4 mile, and turn left onto Hanover St. Go 0.4 mile, and stay straight onto US 4/S. Park St. Go 0.2 mile, and turn left onto E. Park St./Campbell St. Go 0.1 mile, turn right onto Parkhurst St., and then immediately turn left onto Spencer St. Look for parking on the left in Eldridge Park. The trail starts on the right. A second parking lot can be found east of this point along the trail, located at the address 35 Riverside Drive, Lebanon. 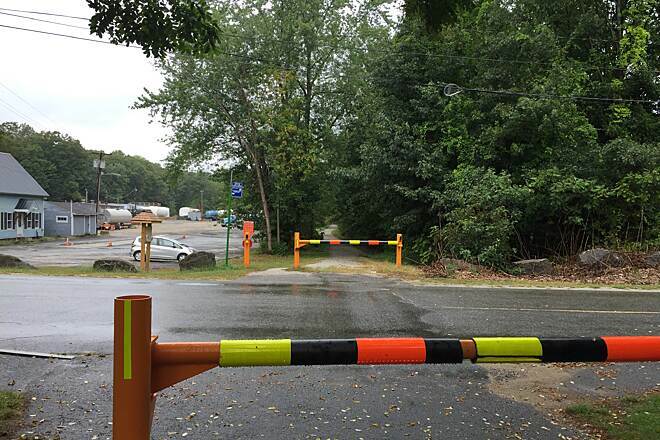 The southern endpoint does not offer trailhead parking, but parking is available at Boscawen Town Park/Jamie Welch Memorial Field roughly 2 miles north. 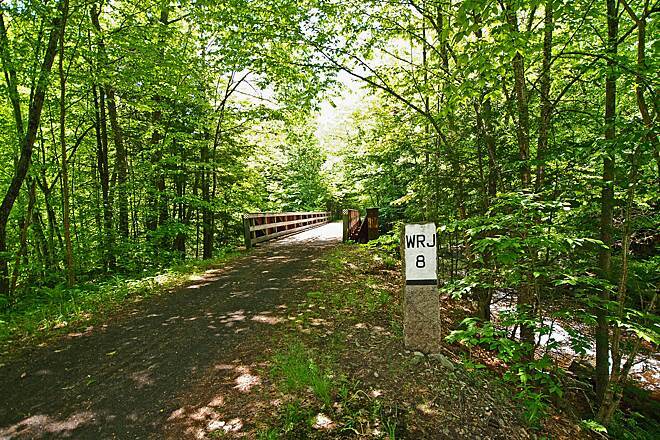 To reach this trailhead from I-93, take Exit 17 onto US 4/Hoit Road toward Boscawen. Head west 1.2 miles to a traffic circle, and take the first exit to remain on US 4/King St. Go 2.1 miles, and turn right onto Depot St. Parking is available in 0.2 mile at the park. Backtrack a short distance to access the trail. Couple of week ago I took the Winnipesaukee River Trail from my house in Northfield to Franklin and while biking route 3 I came across the Northern Rail Trail going southbound to Concord, then biked back. It was a nice 40 mile bike ride round trip. Next year I would like to bike northbound from the Winnipesaukee River Trail to the North Rail Trail northbound to West Lebanon NH. My only concern is where to connect onto this trail so I am not back tracking too far. I have driven route 11 beside the trail to find the best access to get on after getting off the Winnipesaukee River Trail. Any suggestions or best route would be great. Love both trails and plan to bike them more next season. Views were fantastic of the lakes, rivers, and streams. Wildlife was limited to birds, squirrels, and chipmunks but still quite respectable. Practically no one on the trail before Danbury. It actually felt like the trail was mine alone until then. Rode about 80 miles from Boston, Ma before hitting the trail all the way into Lebanon. Finished with an awesome 142 miles total. Well worth it. Also heard that there were plans to pave the whole trail. Glad I got to ride the dirt and gravel before they make it smooth. Rode from Enfield to Lebanon on a weekday. Passed about ten to fifteen people, total. Enjoyed the view of the river several times. Trail was debris-free and well-maintained. It is mostly beneath tree cover. For those of you who are anxious about bathrooms, there is a rec. center right at the end of the trail in Lebanon where you can do your business. It was a relief to me when I discovered this! Nicely convenient. 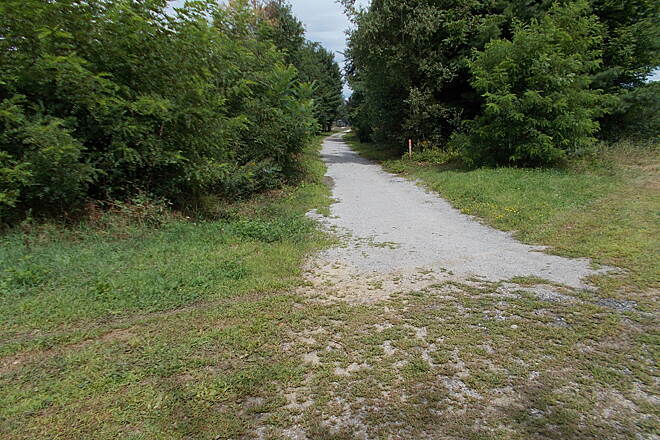 I rode from Andover to Enfield and was very disappointed with the condition of the trail north of Danbury. The description here in Trail Link should mention that the trail is reduced to singletrack in some locations and that maintenance is pretty much non existent in Grafton County in spite of the "friends" organization. I encountered warped deck boards sticking up on bridges, trenches dug across the trail for drainage, muddy sections with poor drainage, narrow sections with no room to pass other users, narrow sections with waist high weeds and grass. I rode with a cargo trailer assuming the trail was at the very least wide enough to accommodate it, since there was no mention otherwise. Locals I met on the trail said it's only maintained for snowmobile use. Those responsible for the Grafton section should take notice of the Merrimack section I encountered between Andover and Danbury. Wide, crushed stone, smooth surface. 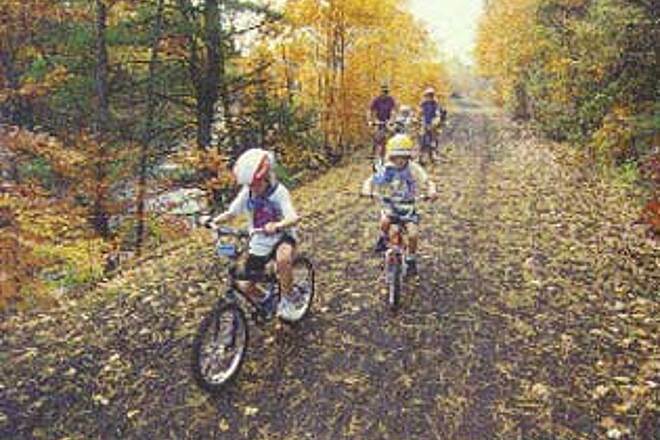 A true recreation trail for all ages and abilities. Did this trail last year, was the first multi day ride I had done, doing a there and back again ride over the weekend. The ride was done late in the summer which was a poor choice as it was very hot and sunny. Some sections of this trail have no tree cover and you can be riding in the blazing sun for miles. There are no water pumps to replenish your water supply during this ride, but you are close enough to towns and shops though good portions of this trail if you need to stop. The trail was in good shape with some sections having been repaved (gravel). There are some interesting stops along the way where you can learn a about the history of the area and how the trail was used. Mile markers are few and far between so you may loose track of how far you have gone. This trail was good, but would recommend doing it when the weather is cooler. Also there are planned trail expansions which will increase the total length of this trail towards Boston. I parked at the Trail Access at the ball field in Boscawen. This parking lot and access were well marked when coming in from the south. This access isn't mentioned in the description on Traillink. I took a 10 mile ride north to Franklin and return on June 1 2017. This section of the trail was crushed stone that looked like it had graded and compacted earlier in the spring. Despite a week of rain, this was well drained and ranged from dry to damp. The trail was partially shaded with occasional glimpses of the Merrimack River below me to the east. I was pretty much alone in the woods and found it very quiet, peaceful, scenic and an easy first ride of the season. The trail was pretty empty on a weekday. I passed about a 1/2 dozen people. Other reviews mention places to stop and get food but I didn't look for them. I did stop at the Franklin Historical society to read and take a picture of the plaque by the side of the trail and of the building complex by the Webster/Tay House (Daniel Webster's NH farm). I would give this 4 1/2 stars if I could. I reserve 5 stars for well paved trails. 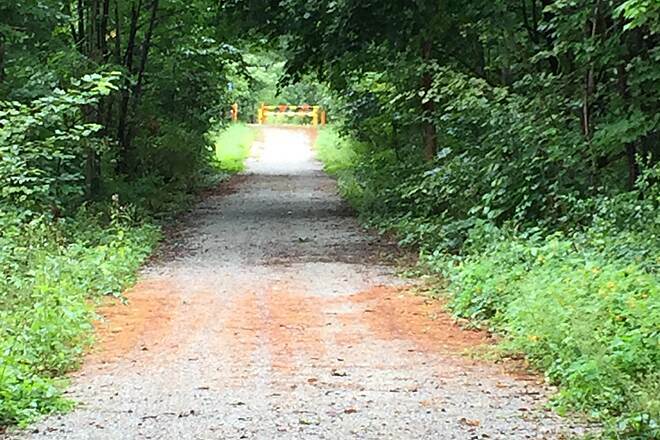 This trail is easily ridable from end to end in a day: the surface is quite good esp compared to other rail trails in the state and there are plenty of services along the way not far off the trail. Its also interesting in that there are many bridges, scenic views, points of interest (like Potter Place) and its mostly rural. Try it, I think youll not be disappointed! We Broke this into a few sections and rode the entire trail this year. Canaan to Danbury was slightly overgrown on the Canaan end(need a Mt. Bike)but the rest was great. Good places to stop along the way. Our favorites are JJ's pizza in Franklin and Salt Hill Tavern in Lebanon. Don't pass this trail up, it is one of the best around. The Northern Rail Trail is a gem. Parts of it have signs of deferred maintenance, especially through Grafton and Canaan, where a fat tire bike is necessary. But otherwise, many parts are in excellent riding shape, including Lebanon, Enfield, Andover and Franklin. I did the entire trail in a series of out-and-back segments as I was riding alone. The availability of lodging is scarce throughout the trail so it helps to plan if a multi day excursion is desired. The trail conditions range from ballast to sand, grass and mud in some places. 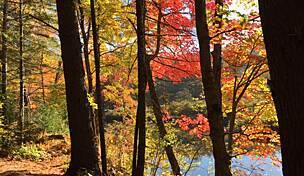 Still, it is a historically significant trail with spectacular views, especially the areas by Lake Mascoma and near Mt Cardigan. Bring camera. My first bike packing experience! There were many brooks and a few ponds that added to the scenic enjoyment. And I even camped out along the shore of Mascoma lake. I sleep in a hammock so it was easy to find a place to stay. Sat on the shore eating supper watching what i think were trout hitting the surface for about 20 minutes. I will certainly be back, but there are so many other rail trails to try first that it may take a while. But I will be back. I had a good time on this trail!!! I have driven by this trail so many times. I had my wife drop me off in at on end and picked me up at the other end. Did the trail in 6 hours stopping to take pictures. I would recommend a mountain bike as some of the surface is a bit slick. In all farness I did ride the trail after a day of rain. I would highly recommend this trail for a family outing, The views were fantastic. To all the folks who give there time to help maintain this wonderful trail, Thank you. We had a great ride right from the Park N Ride off exit 17W off Rte 93. We were surprised at how pretty the trail was and how few road crossings there were. It was very pleasant. Trail could be used by a road bike, but a mountain bike would probably work better because of the packed sand. Granny Judy's Kitchen was a good place for lunch. It's at 71 North Main Street in Franklin. To get there off the path, if coming from the south, you'll see the "Franklin" sign on the right on the paved road below the path -- after the National Guard place. After that there will be two "Caution Bridge Crossing" signs for bridges. After the second sign, you'll come to a bridge. Alternatively, coming from the north, when you get to the granite marker that reads 92/47, you'll be at the right bridge. Take the path off the trail after the bridge, wheeling bike down the path. Then turn left onto the road. Ride to bottom (about 1/4 mile), then turn right onto North Main Street. Granny Judy's is a half a block to a block down this street on the left. It's open from 6:30 to 2:00 every day, I think. Phone number is 603-934-4404. My wife and I just completed an end to end round trip on the NRT. Leaving Lebanon on 7/10/15, we rode through to Boscawen, where we stayed over Friday evening. We made our return ride to Lebanon the next day. We were blessed by two beautiful July days, which made for an idyllic explore. 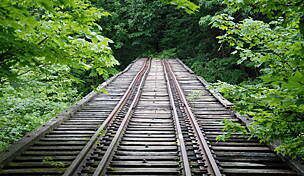 There are numerous points of interest and railroad heritage, particularly from Lebanon to Franklin. The stone abutments, rock cuts, and causeways across bogs attest to the creative engineering of another era. 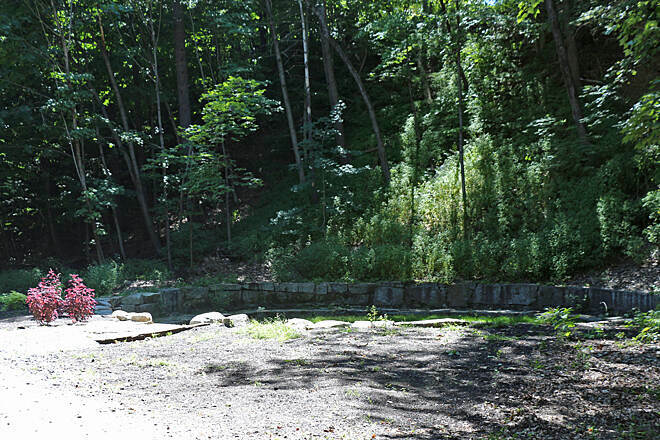 There is the remains of a possible turn table in the Canaan town park, Potter Place with its beautifully intact station and freight house, and the remains of a turn table in Franklin - or is this an ancient stone circle?? The trail is well shaded which aided or stamina for this weekend trek - as did the enjoyable swim stops at Highland Lake for two hours on the first day and Webster Lake and Tewksbury Pond - a gift on our return day. End to end, with interest stops, swimming, and lunch, took us ten hours each day. We were riding mountain bikes. The only drawbacks from granting five stars is the woeful lack of signage along the trail. This is a serious deficiency. While we were able to use the granite markers to calculate how far we had come and the distance that lay ahead (yes, we relied on the technology of an earlier era), there were no signs that indicated distances to towns, services that could be found, or even what villages we were going around. On the return trip, hoping to find food in East Andover, I did locate the Highland Lake Inn. While the innkeepers were enthusiastic about our use of the trail, the only help with our need for sustenance was to mention the pizza shop off trail in Andover or to make it through another thirteen miles to Danbury. Other than a sign propped up by an off trail ice cream shop, there was no signage on the trail about services in Andover or even that we were going by Andover. But then, that was the case for every town. Yes, there are signs that indicate crossing a town line, but not one village was marked or identified as to the services that could be found. On the Boscawen end, it was equally befuddling. Having reached the end of the trail, there was not direction as to how we could find food or lodging. This, despite the fact, that we had made reservations at the Elmwood Lodge, which is recommended on this website. But then, the proprietors of the Elmwood, when booking our reservation, could not clearly tell us how to get from the trail end to their lodge. And finding dinner in Boscawen, meant riding extra miles along Route 3 - not fun on a Friday evening. We night have stayed at the Highland Lake Inn, back in East Andover, but they require a two night weekend minimum and, as mentioned above, there is no food available. Much can be done to improve signage and service amenities. However, it is acknowledged that these shortcomings added, in their peculiar way, to the sense of adventure that always seems to accompay every bike trip. 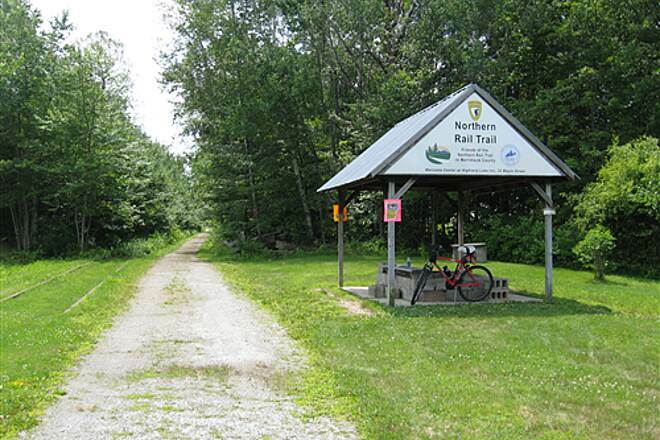 All in all, the NRT is a great accomplishment by NH and many volunteers that have made this 57 mile trail a reality. I am not grumbling about the above deficiencies - but improvement there would have made things a little easier. Only have a few more Miles of this left. I've loved it so far! Not crowded. Good stops along the way. Scenic and enjoyable. Have ridden most of this trail in sections and love all of it. If you're riding the Franklin/Boscawen section on a Sunday during the summer, stop in at the Franklin Historical Society at Webster Place and say hi to the great folks there. They'll be open Sundays from 11 to 2 and will have cold drinks and snacks available for sale. The Society is responsible for the interesting new historic signs along the Franklin segment of the trail. Their home at the Webster/Tay House is a shady oasis in the middle of the hottest section of the trail...worth a stop! This trail is very nice. It is very well packed, but there no paved sections in the southern section we road. It follows the river, and you can take some quick exits out to towns for a break if you want. Steep embankments prevent you from going down to the river in most spots. 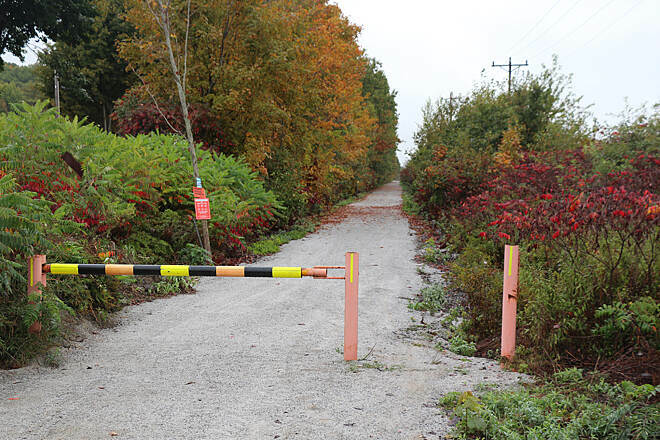 The Northern Rail Trail now extends to River Rd. in Boscawen, NH. 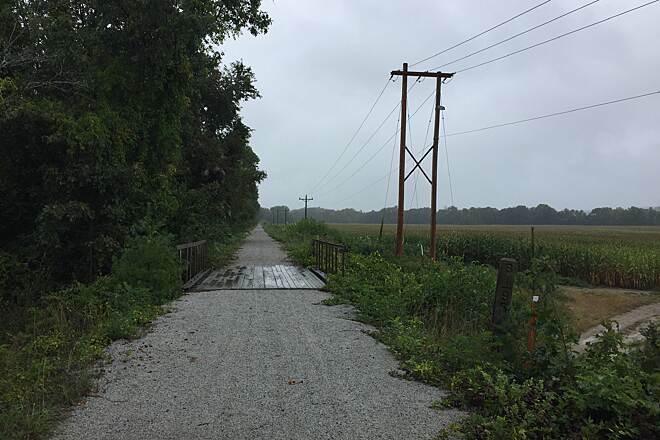 The ribbon cutting was on October 14, 2014, and I rode the trail on that drizzly day from Gerrish Depot to the celebration, then to the end of the trail. 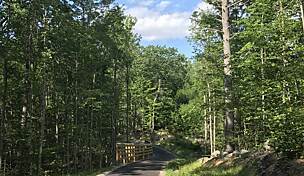 The trail construction is similar to the crushed stone that's in place north of Depot St. in Boscawen, so your hybrid bicycle will do just fine. 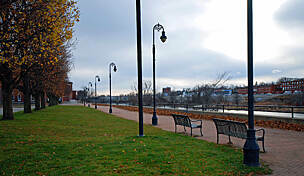 The new section has some very nice views of the Merrimack River and farm fields. 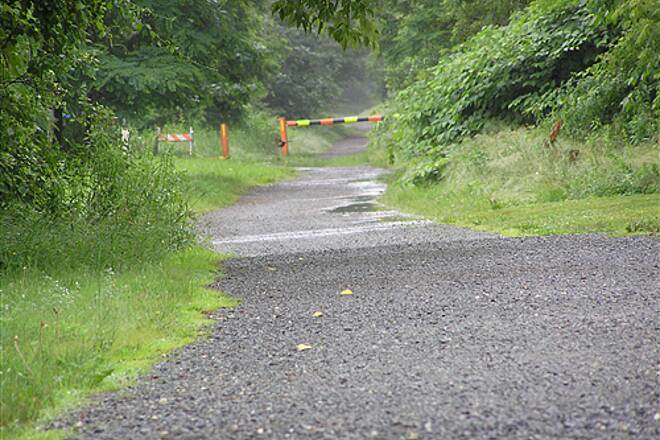 As you're riding, watch for farm vehicles crossing the trail. Parking is available at the Hannah Dustin site on Rte 4 (Exit 17 / Boscawen Park & Ride parking lot), and the trailhead is only about 1/2 mile away on a very quiet road. From the Park & Ride head down the ramp, cross the tracks (they are inactive), and head north, crossing under Rte 4 on River Rd. The trailhead will be about 1/3 of a mile from there on the right. I have been traveling along various sections of this trail now for over a year and I love this trail. It is very serene and there is very little traffic on it. I highly recommend the section in Boscawen, Northern Franklin around Webster Lake and in Andover. It seems to be pretty well maintained for the most part. 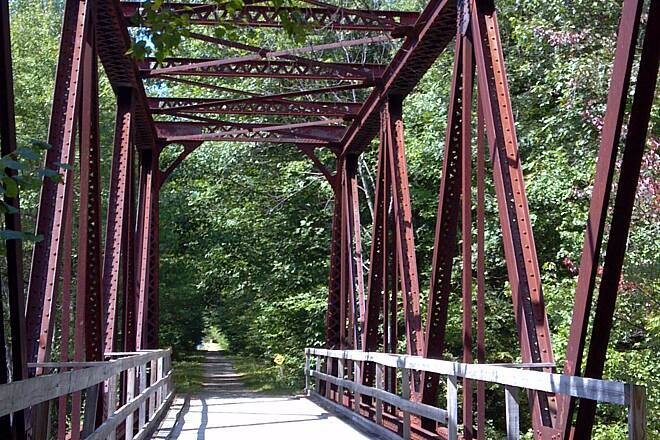 My wife and I tried out the Boscawen to Franklin portion of the Northern Rail Trail. There was ample parking at the athletic fields across the street from the trail head. 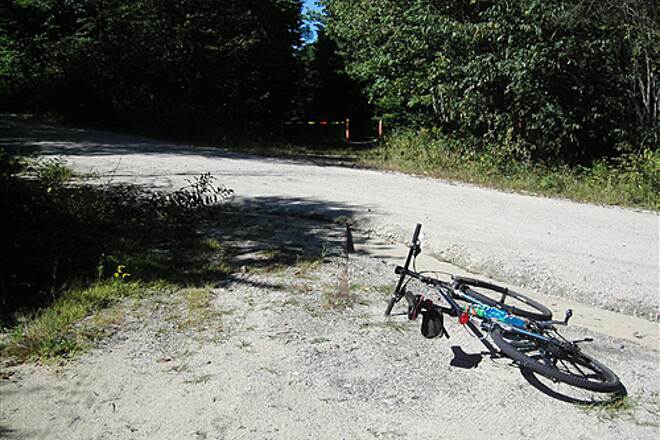 The surface of hard-packed gravel presented no problem to our hybrid bikes. For the most part, the trail is well-maintained with evidence of brush having been trimmed back earlier in the summer (though they could've done a better job of clearing the brush off to the side). In a few places, there were low hanging tree branches and saplings bent over the trail. 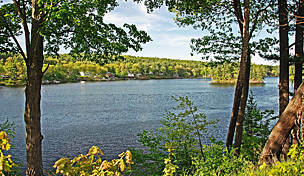 At various times there are nice views of the Merrimack River through the trees, but no easy access down the steep banks if you wanted a closer look. You're never far from Route 3 either as the trail essentially parallels this major north-south highway. There are a couple of historical signs and the remains of a stone foundation of a locomotive turntable to be seen along the way, but by and large there's little of interest along this 10-mile stretch. If you're looking for a good lunch stop in Franklin, go off trail and follow Route 3 into town where you'll find Al's Village Restaurant and Pizza. 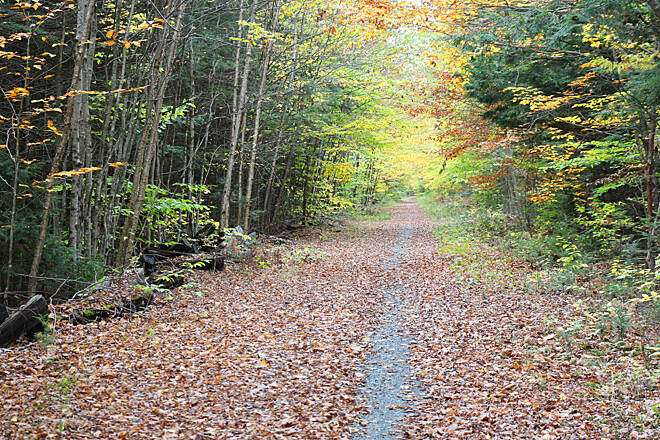 We look forward to trying other sections of this long trail. Last Sunday my husband and I drove to Lebanon to pick up the trail on our bikes for the first time. We rode from Lebanon to Orange (30miles) roundtrip. We set this as a goal . We could not believe how wonderful it was . Riding around the lake was such a gift. The smells of the pines, the waterfalls and the river were just terrific.The trail was very easy to ride.There were people on thin tire bikes. My is a hybrid and my spouse was on his mountain bike. It was one of my most favorite biking days I have ever had. We plan on picking it up further down the rail and going to Grafton or farther next time. We wish we lived closer! I could make this an every weekend event. Thanks to all who keep this so well maintained. There was not one piece of litter anywhere. This trail has the makings of a fantastic trail. We rode from Lebanon, and the scenery for the first four miles or so is among the best of any rail trail I have ever seen. The trail makes several river crossings, and is generally shaded. But this trail is hard to recommend to anyone other than mountain bikers. The surface is not holding up. There are lots of ruts and soft spots along the way. It is in desperate need of an overhaul. Wonderful ride along a stream, also padding covered bridge. Sunny in spots cool and shady in others. I rode this trail for the first time today. I remember not too many years ago when the railroad ties were still in the ground on this section. Today the trail is just about as nice as a crushed cinder surface can be. You can easily ride 2 abreast on this entire section. Beautiful scenery along the way on this early spring day. Even though it was a Saturday there were few people on the trail, maybe 7 cyclists on this 10 mile section. 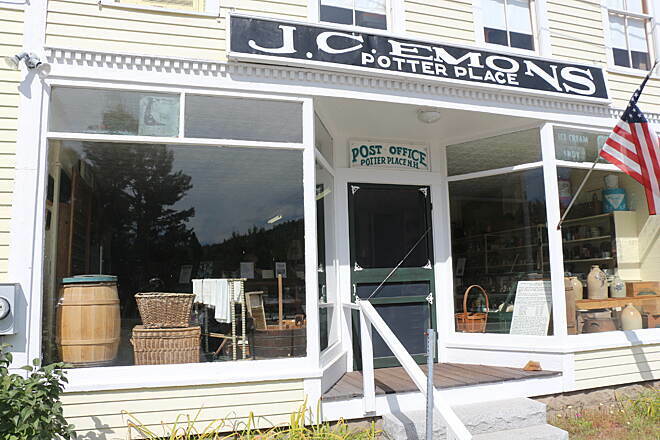 We parked at the Danbury Store, but there is plenty of places to park at Potter Place as well. There is a Pizza Place just off the trail in Andover (south from Potter Place), or pick up something at the Danbury Store. Two old retired folks out riding, this time from Potter Place north to Danbury and return. Quiet, cool, easy ride. Quite a few others using the trail: walkers, bikers, joggers - good to see others enjoying it! Small hot fudge sundae as our reward. Rode the first 15 miles north out of Boscawan on a beautiful Wednesday in early October. Surface of crushed rock was very flat and well maintained - fewer bumps than most asphalt trails I've ridden. I even saw a municipal employee blowing leaves off the trail at one point. First 4 miles give intermittent views of farms and the Merrimack river. At 6 miles there are the interesting remains of an old train rotator off the trail on the left. 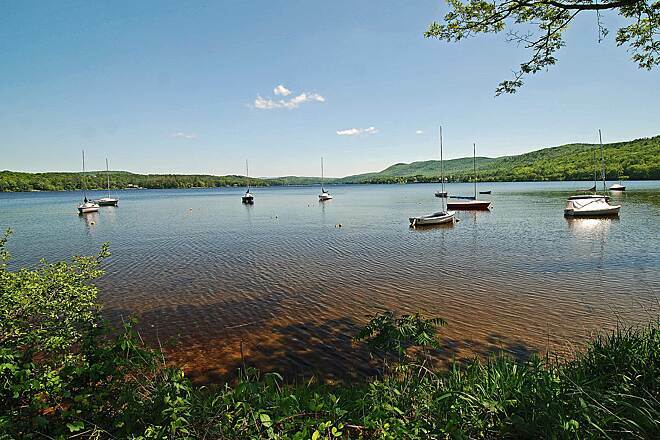 At 7.5 miles beautiful views of Webster Lake, and at 12.5 miles beautiful Highland Lake awaits. At 15 miles the trail runs between two nice small ponds, which is where I turned around. Noticeable small uphill grade all the way out, which made the ride back easier. Saw only six other people, all on bikes, for the whole ride. My only complaint about this trail is that it is often in view and earshot of the highway, but it is quite scenic nevertheless. 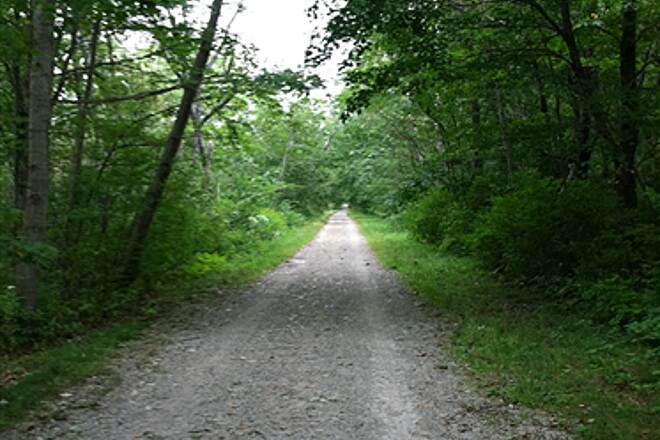 Rode this trail in a single day on 5/4/13 from S Boscawen to Lebanon. 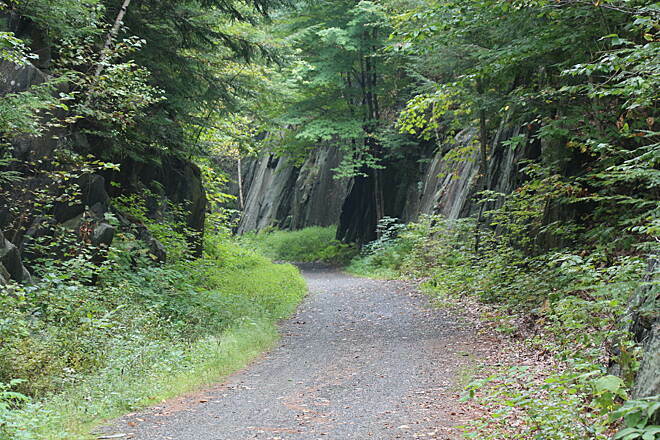 The southern end of the trail is especially remote with a surface of stone dust. Some flat sections in the middle of the trail were muddy and slower. The northern end of the trail is more heavily used with access to facilities. Overall, a pleasant ride through rural New Hampshire. Very wooded, lots of ponds, and quiet during the week. Pack snacks and water for the southern two thirds of the trail. That said, the Danbury Store in Danbury Depot is a great place to stop for sandwiches made to order near the midway point of this trail. Expect little to no cellphone signal from ATT & VZN over most of the trail. I live near the northern end of this trail and ride it frequently. The first eight miles makes a great round-trip ride. There is plenty of free, paved parking at the start in downtown Lebanon, NH. The trail is hard-packed and well maintained. 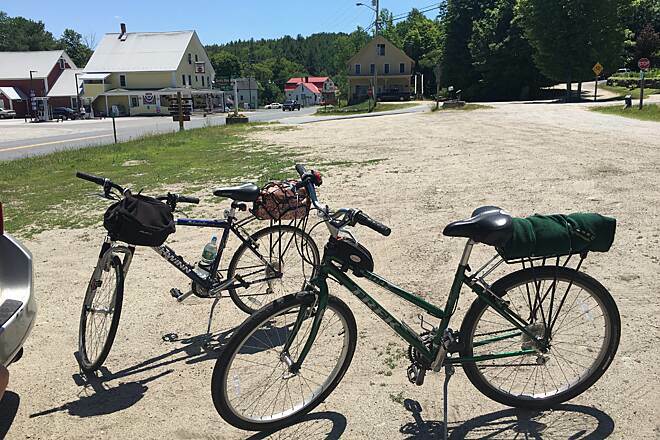 The ride is very scenic, through woods along the Mascoma River and Mascoma Lake, for the first eight miles out to the old Enfield train station. 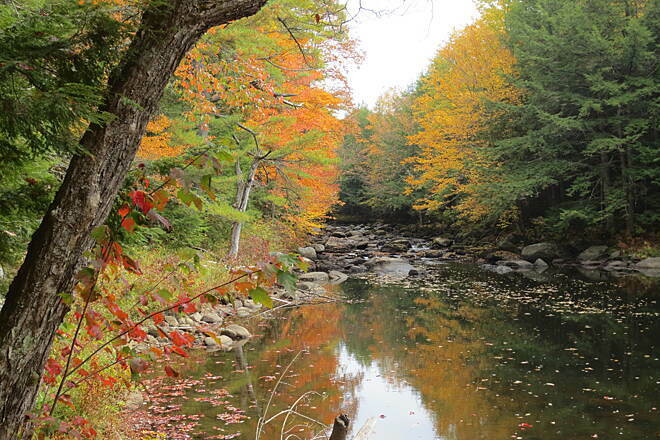 For the next eight miles or so out to Canaan the trail remains very well maintained and occasionally very scenic. 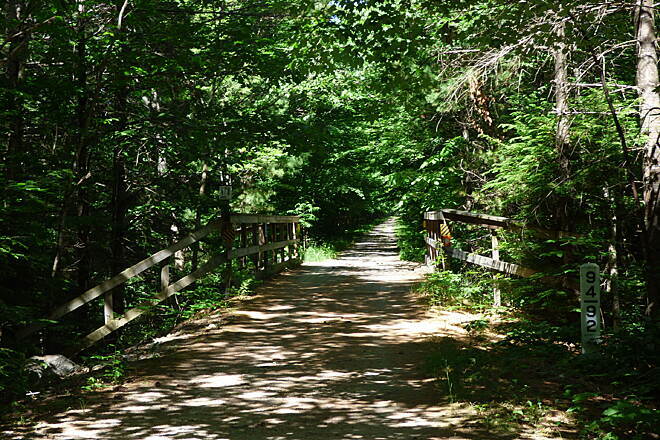 The woods do open up however, and for some stretches you will be pedaling in the sun if it is a hot day. 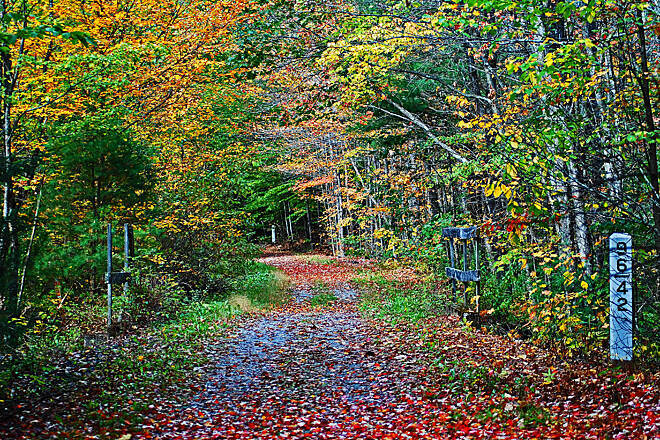 I rode this trail several times from the Boscawen trail head. My longest trip was 25 miles in and 25 out. The stone dust is deeper and more loose than on other trails that I ride. I would recommend using a mountain bike rather than a hybrid or road bike. My first ride on this trail was on a touring bike with 700x35 tires and it was exhausting. The trail is sometimes interesting, but lonely. The first 18 miles from Boscawen at least pass some lakes and the fringes of some towns. The upper 7 miles of my longest ride didn't have much scenery. During the week, there are very few walkers or cyclists on the trail. I think there are a few homeless camped out near Franklin and maybe a couple of other places. It is the most lonely trail that I have ridden and the homeless don't give you a feeling of safety. Nevertheless, I still plan to bike all the way to Lebanon and back some time in the future. My wife and I ( the slowskis) biked this trail round trip from Lebanon ( parking - riverside road lot) to Enfield ( 8 miles, round trip) ) in July 2013 in 2 hrs 45 min. Track was very good even after a lot of rain in the past few days. Hybrid bikes even with 35mm wide tires are good as there is little sand if any. 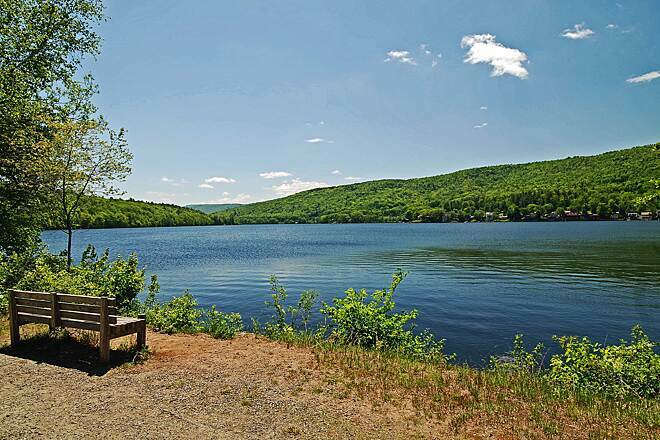 Views along the river and Mascoma Lake are great with plenty of benches to take in the views. Very slight grade from Lebonon, hardly noticeable. 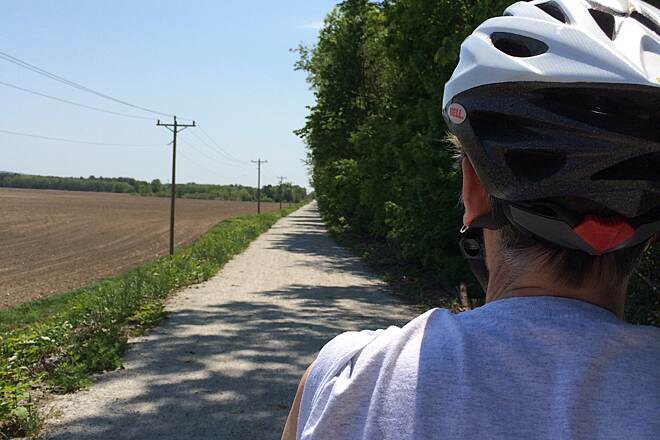 Of the 3 trails we biked this week including the Sugar River trail and Cotton Valley trail this has the best views and track. 1. The Danbury Country Store is a great place for a break. Good food, fair prices, and genuinely friendly staff. 2. Don't bother trying to ride it south of Gerrish Depot. The roadbed is still just the ballast from the old railroad and is virtually unrideable, even on a mountain bike. We turned around, took a break down by the river and called it a day. 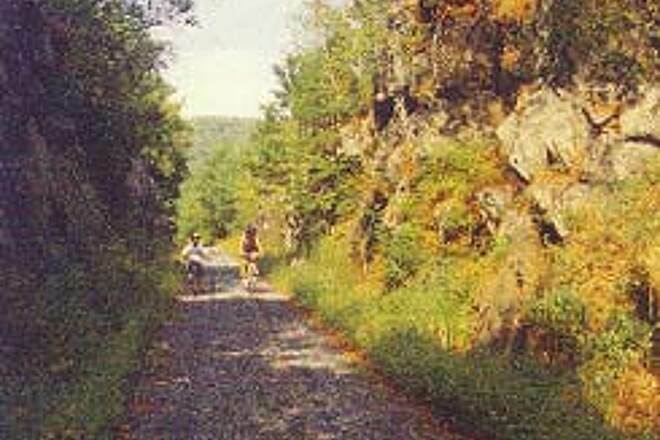 As new part-time residents of NH, my husband and I have enjoyed biking on this trail many times in the past couple of years. The Grafton County part of the trail can be rough in sections and we had the misfortune of blowing tires on 2 different mountain bikes (one brand-new) near Mascoma Lake this summer. There are maps all along the way and plenty of food between Lebanon and Canaan. We often plan to ride this section on Sundays and stop at the Farmer's Market in Canaan for lunch. The Merrimack County section is a nice, wooded ride, but lacks signs/maps and there are very long stretches with no access to food or places to stop. We now know to bring snacks and lunch on this section. 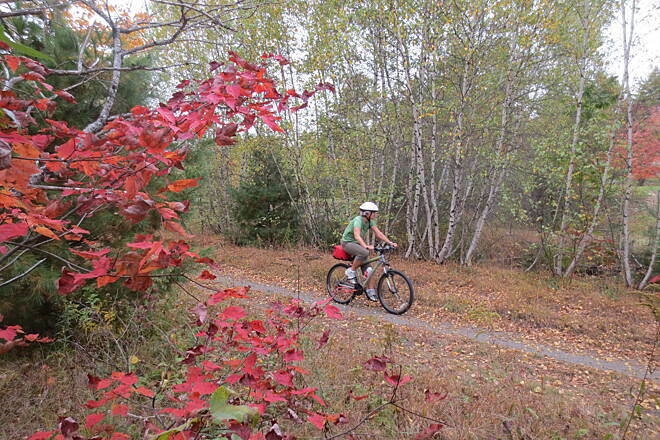 We parked at the Park & Ride today and rode the trail from Andover to Franklin; great trail. It is nice to be able to stop and enjoy Higland Lake and Webster Lake. Otherwise not really much to see. Someone does a great job with the upkeep of the trail ! 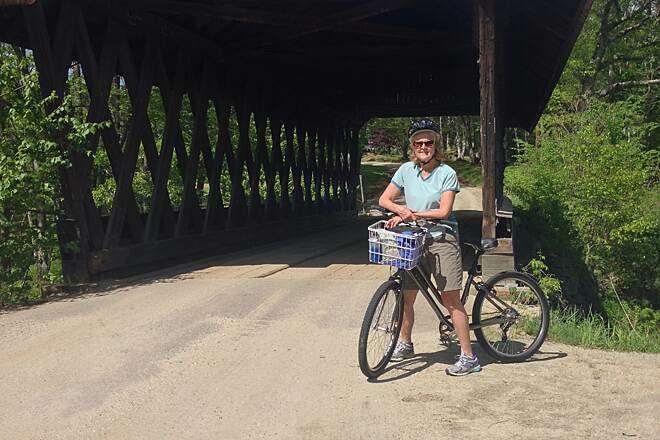 I rode the Winnipesaukee Rail Trail from Tilton to Franklin, then on-road through Franklin to Chance Pond Rd. 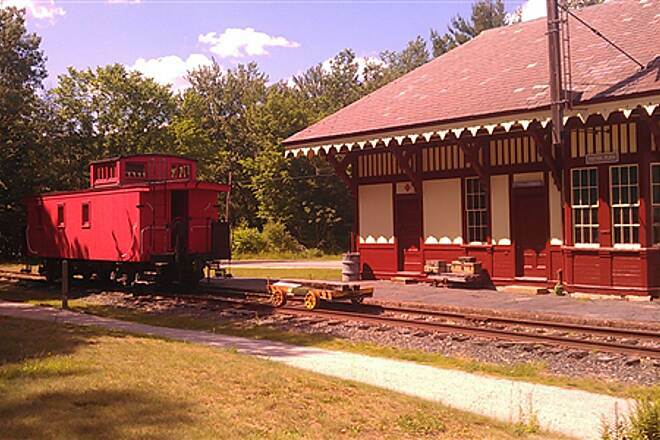 to pick up the Northern Rail Trail for a ride to Potter Place in Andover, NH. It was a scramble up from Chance Pond Rd. to the Northern Rail Trail atop a railroad bridge, and I was greeted by a smooth crushed stone trail with a concrete mile marker nearby (the trail in that section has been graded and resurfaced recently, and the work is heading south to reach Concord, NH). I hopped back on my hybrid bicycle and rode northwest. Much of the trail is isolated and wooded with the occasional street crossing, but for stretches it parallels and crosses local routes, which you can sometimes see and hear. The trail's surface changed to slightly larger stone for a short while, and for some stretches it was more like an old dirt road with a variable surface, but it was still very passable on a hybrid. 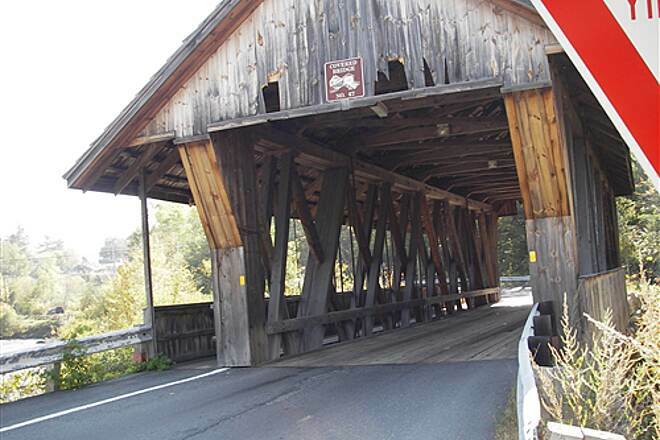 There are several bridges over water and several underpasses beneath roads, including one trestle that crosses very near a covered bridge. 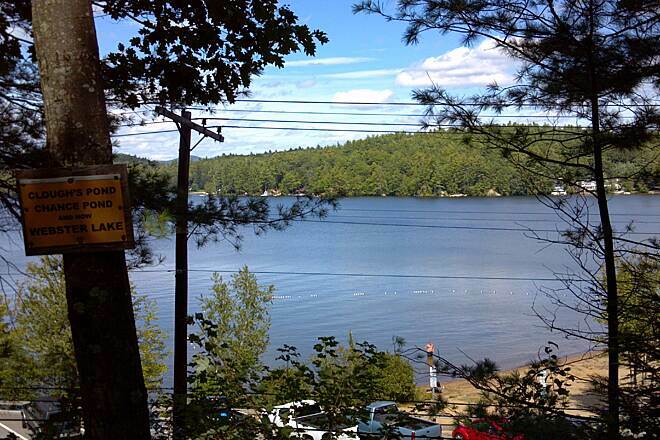 After a short while I encountered Webster Lake, where you can hop off the trail and stop for a swim if you like. Further up the trail is Highland Lake, and beyond that the trail turns rather dry in the hotter weather. There is little canopy, so have plenty of water handy--bring what you need, as there are no stores visible from the trail pretty much all the way from Franklin to Andover. 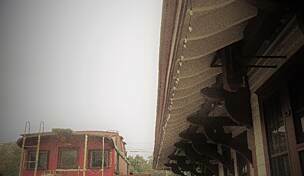 I rode into Potter Place in Andover, NH, passing some short sections of track that are in place as part of this historical section of town, and one siding had a boxcar, another a caboose. I discovered that the station and the old general store were open as historical exhibits, a few hours on Saturdays and Sundays. 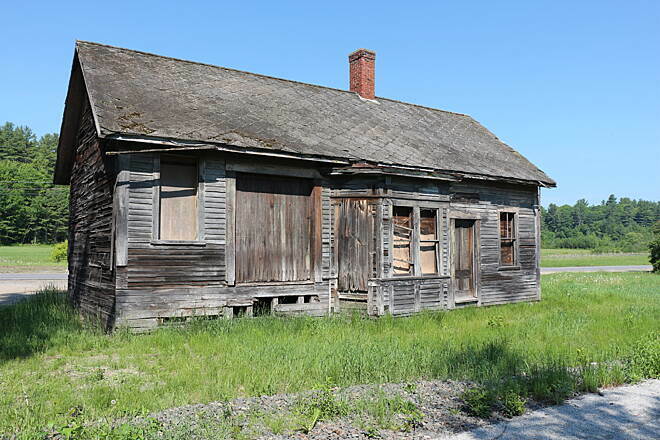 It was great to look at the railroad station as it was years ago, the same with the caboose out back and the general store across the street. The people from the Andover Historical Society were delightful and gave me tours. Had I not been so worn out from the hot, sunny ride I would have spent more time chatting, but I opted to go lie down at the picnic table near the station and have a late lunch. Someone has created a small garden in a shady cellar hole near the picnic area behind the station, making the picnic area relaxing after your ride. As the day was wearing on, I hopped back on the bike and made my way back to Franklin and then the Winnipesaukee River Trail to where I parked the car in Tilton, a total of about 34 miles round trip. 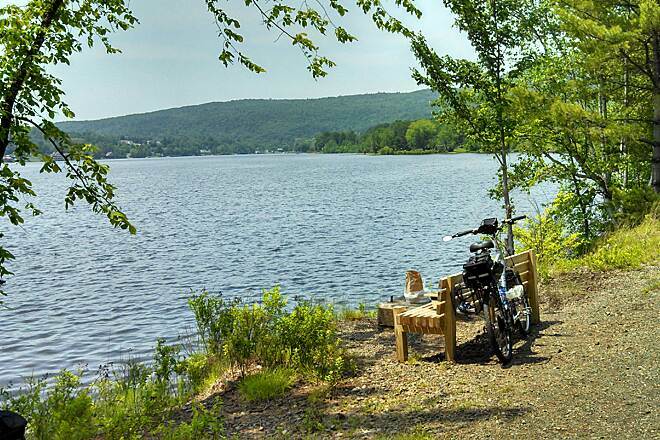 Over the past few months I've ridden - on my son's hybrid... - from West Franklin to Mascoma Lake in 15 to 20 mile stretches. This is the best rail trail I've been on - solid surface of crushed stone, quite wide, only rare spots of sand or water and those easily navigated. Downed trees from this fall's storms were almost all cleared up, or at least clipped to give a tunnel. I could simply cruise along and enjoy the scenery and the quiet. I had a great time. Heartfelt thanks to all who created this and maintain it! 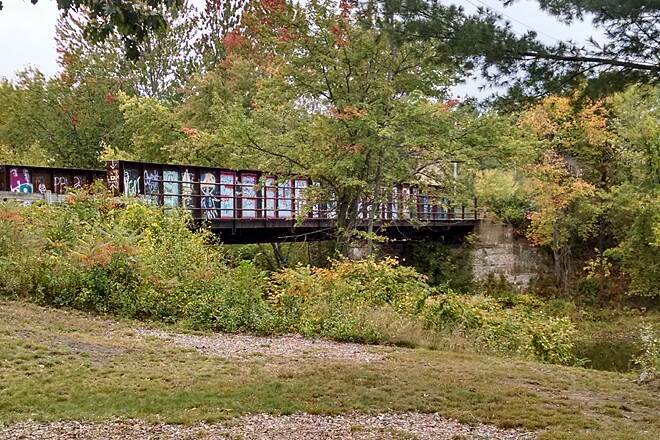 Columbus weekend foliage is looking good so my wife and I decided to take a ride on the Northern Rail Trail from Lebanon. We were pleased to find ample parking at the trail head in Lebanon. 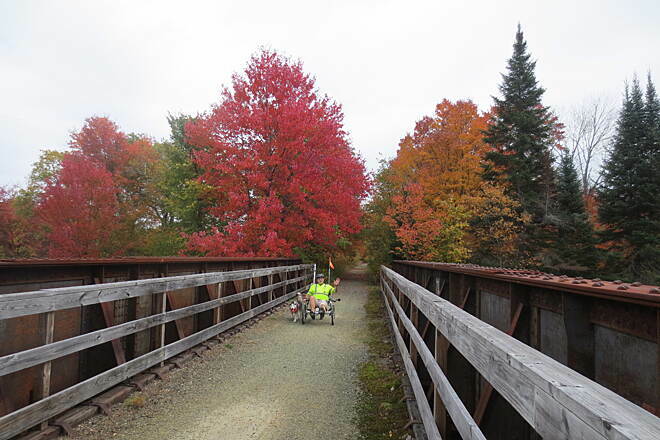 We have tadpole recumbent trikes that have 16" slick tires which were not the perfect tires for the dirt pack surface but it was ok. As we made our way along the trail we stopped at the many bridges for a view of the Mascoma River and foliage. After an hour we decided to turn around just short of Mascoma Lake and found the ride back to be much easier, slight downhill grade, which was much appreciated. I did 15 miles up from Franklyn for a 30 mile round trip and had a great ride. It was Monday July 18th and there was nobody on this trail. I did not see my first person until 11 miles in and only past about 7 people on my round trip. This end of the trail in not as pretty as the north end but it is still a nice ride. I was on an old Mt bike with a road tire and it worked great for me. I did the trail on 16th of July with my brother, his wife and there two children, Patric age nine and Ann age eleven, it was a beautiful day and there was a ton of traffic on the trail. The best was a guy with a tag along, with a four year old and a nine month old in a seat on his handle bars. 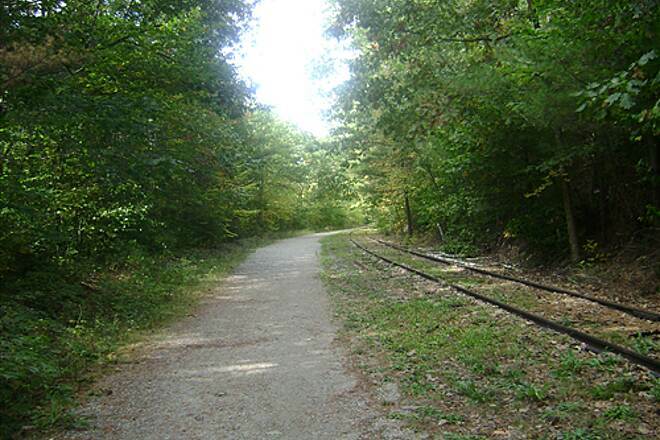 This was one of my very first Rails to Trails and has a fond spot in my hart. You could do it on a road bike but you would need an aggressive tire. My brother was on his Hybrid, I was on a old Mt Bike with a street tire, both girls where on Mt bikes. 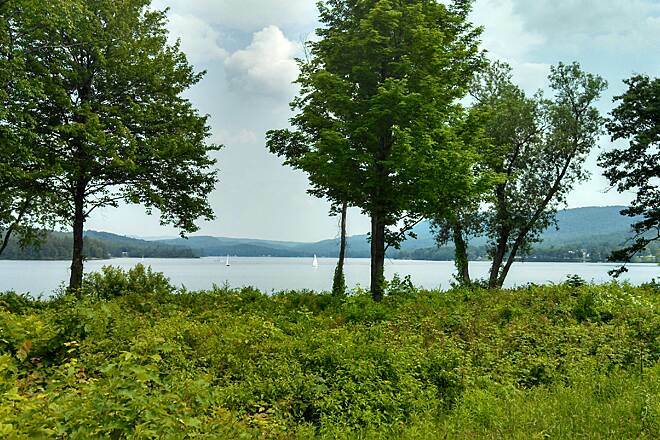 Lots of shade and you pass Mascoma Lake and there are a couple of spot that you can go in for a swim. I have used this trail twice and it is one great trail. The Northern Rail group has done a great job and it is a very easy ride. It is family friendly and a cross over bike is ok.
Road the entire trail yesterday. Was as the previous post stated. As for the parking directions here is the correct version on the Grafton end. If you want to go the 23.8 miles as stated, take route 4 into Danbury, NH. and park at Zaccaria Rd.. Danbury is just East of Grafton and if you look for Zaccaria Rd. on your GPS in Grafton you won't find it. You will see a town line marker when you are on the trail. Not sure what store they are talking about but there is nothing across the street. The Lebanon half of the trail is the most improved. The trail does continue East of Zaccaria Rd. but not very well kept up. I did not take that end of the trail. 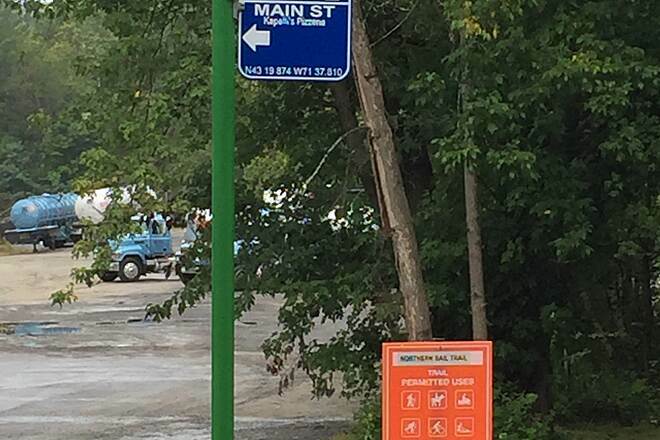 As for parking off Depot st. that is also in Danbury opposite Ragged Mountain Hwy. That would add about 2.8 more miles length to the 23.8 mile trail. This trail is an absolute dream for bikes. We rode it this fall end to end and have no complaints. 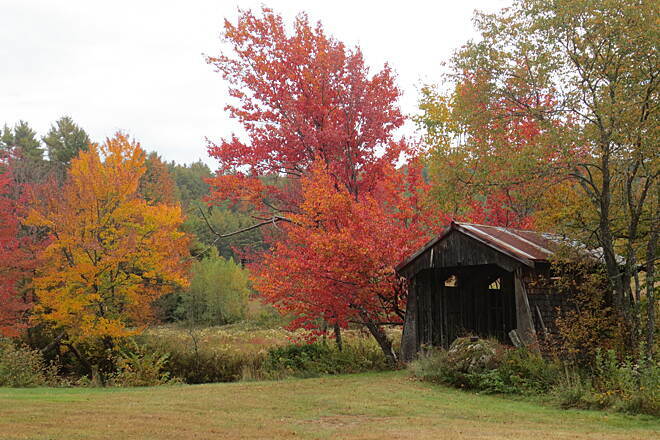 Nice country side, beautiful views, especially along Mascoma Lake. Good parking at various places along the trail. Can't wait for the trail to be extended all the way to Franklin. Nice trail for biking but very rough at times. The trail has extensive use by horses and the divots from their hoofs create quite a bit of vibration on a bike. However, with only one major road crossing it is a very enjoyable trail. 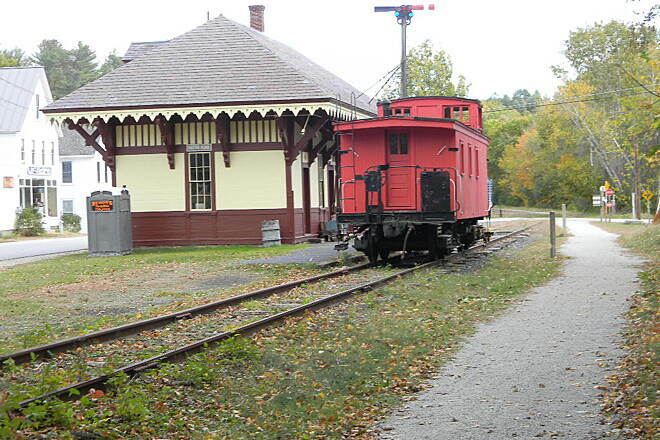 The two best places to start on the trail are either the restored Potter Place RR Station on the Northwest end or from the Highland Lake Inn www.highlandlakeinn.com near the Southeastern end. Both have parking and bathroom or porta potty facilities. The Inn happens to also be a very good European style place to stay if you are there overnight. If you start from the Inn, go two miles south through the most beautiful section of the trail to the end at Dyer's Crossing, then turn around and go the full eight miles to Potter Place. 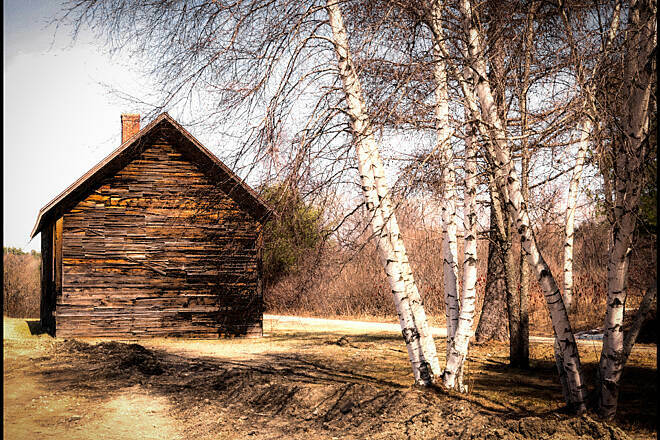 There is a convenience store near the Inn and another in Andover, an easy half mile off the trail. Proctor Academy, an independent private high school, is also in Andover. 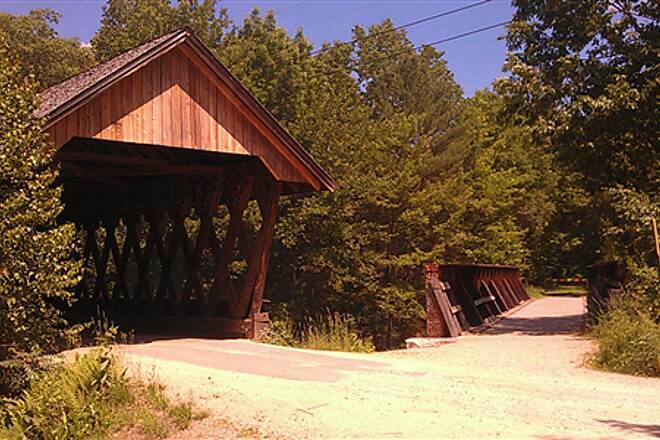 There is a covered bridge and a swimming hole about a mile west of Andover. From the Potter Place end you can add another 10 miles or so of back paved road riding around Wilmot. 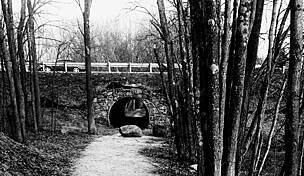 Funds are in hand to extend the trail another two miles toward Franklin in September of '09 and another eight miles toward Danbury in '10. I rode on this trail while my wife shopped at Patternworks, over in Center Harbor. Only had time to ride 7 miles of the trail. The eastern end of this trail stops at the county line. The railbed continuing east is legally accessible, and is probably usable by snow machines, but still has the ballast. I've ridden on ballast before and it's no fun. They have plans to replace it with rock dust in 2010. There's a nice treatment of a former at-grade crossing. They rebuilt the highway bridge over a stream just off the railbed, and left room on the side for the trail. So there's a slope down, a bit of rusty drainage, and a slope back up, but no cars. "I biked from Lebanon to Canaan and back today and was amazed. This trail is the most scenic and best I have explored in NH. the weather was perfect and the packed surface was smooth and could be used by a road bike. In fact I was amazed by how many were out on the trail today a week day and about half were on road bikes. we stopped in Enfield for lunch and are going back soon to do the east end. Trail is up hill from Lebanon to Canaan and then you can roll on the return. Lots and good parking at the end at Lebanon. " "Rode from Grafton north to Enfield today. trail was great, saw geese gathering in orange getting ready to fly south. songbirds everywhere collecting wild cherries. I have walked and ridden the full length of the trail several times and keep visiting again. Bridge work in Canaan on September 8, 2007 to redo the deck. All are invited to help"
This is an absolutely beautiful ride. I bike from Goose Pond Road to Lebanon once a week going to work and hope to do it twice a week. It's such a wonderful way to start the day!! 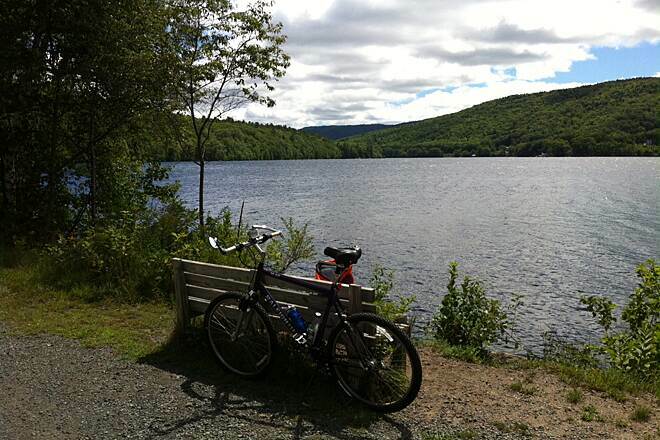 The trail is very well kept and it's so beautiful just riding by the Mascoma River and Lake. It makes my day!! 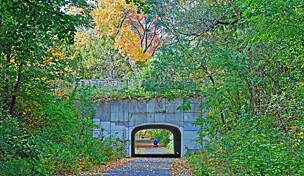 "I walk or bike the trail several times a week. Use caution at the ""double bridge."" The railing supports have broken on one bridge. At the trailhead at Mascoma Lake a family of beaver have built a dam and lodge adjacent to the trail opposite the lake. In the evening the beaver can be watched working in the pond"
We biked this trail from both ends. 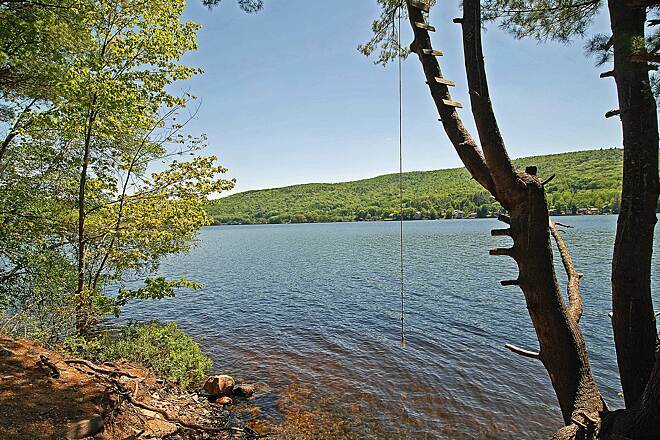 It is absolutely beautiful from the Lebanon end going in with Mascoma Lake. The leaves were changing colors and we really enjoyed the trail bed itself. There is a nice hard surface for bike riding. 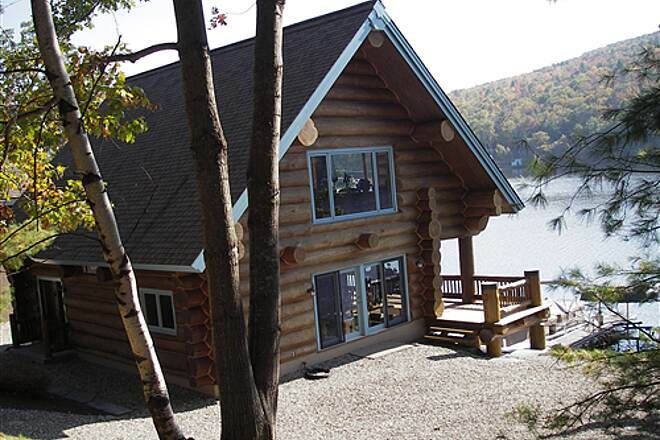 "Well maintained, super views, particularly the section from Lebanon to Canaan. Need mileage markers and better signs to off trail services. Start at Lebanon and you will have slight downgrade for last four miles of return trip."